A lot of wonderful and even dangerous creatures live in the heart of Africa. 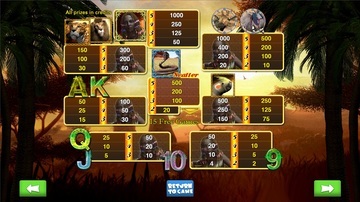 Are you ready to start your unforgettable journey and get amazing wins? Hurry up! 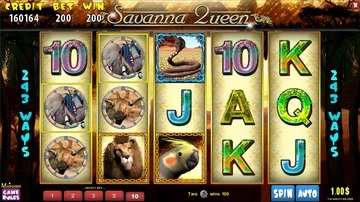 You will meet regal lions, beautiful giraffes and other savanna dwellers in the new slot by MainamaGames. Here comes amazing Savanna Queen. She is a wild. This symbol substitutes for all the other symbols except a snake. 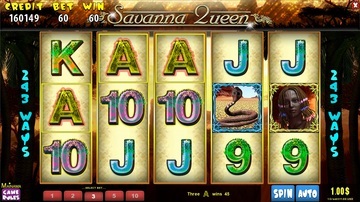 When Savanna Queen appears in a winning combination, payouts are doubled. 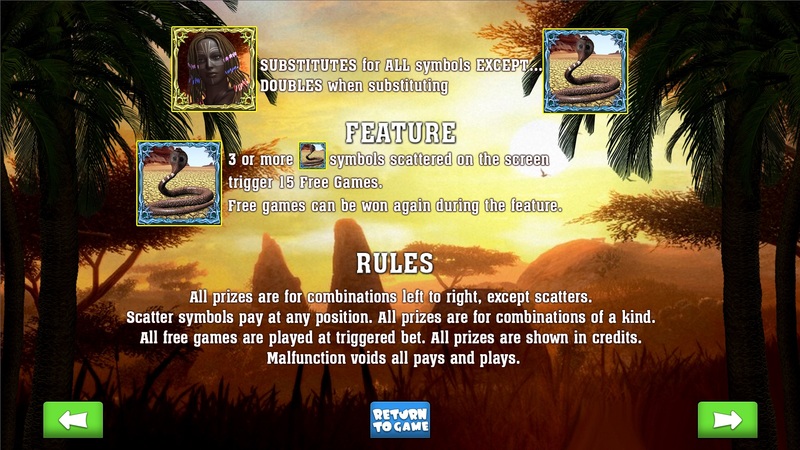 The snake symbol is a scatter. 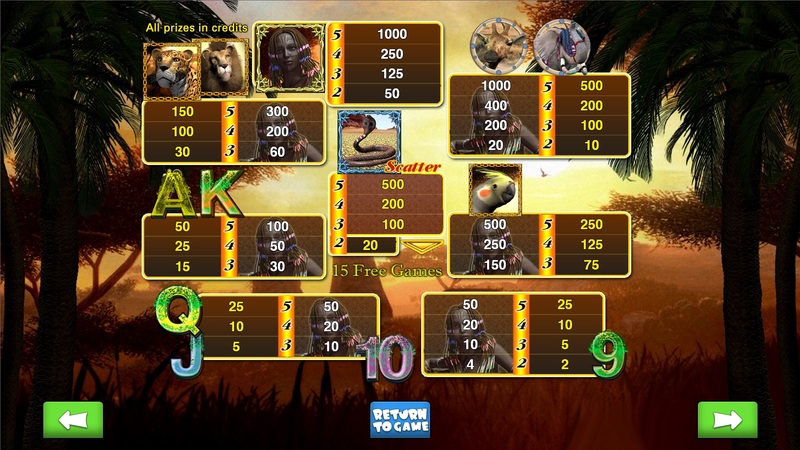 3, 4 or 5 scatter symbols trigger 15 free spins. You can’t wait to play it, can you? The new game Savanna Queen is waiting for you.